As much as we get excited about high-end hardware like Nvidia’s RTX-series graphics cards or Intel’s Core i9-9900K, budget gaming is a much finer science to dabble in. There are lots of great deals out there though, and if you pick the right ones, creating a cheap gaming PC build can be easier than you might think. If you’d rather just buy a pre-built system then we have some suggestions there too. Otherwise, let’s set up what exactly this system will be able to do. This build is in the mATX form factor so it will be physically smaller than your average desktop. 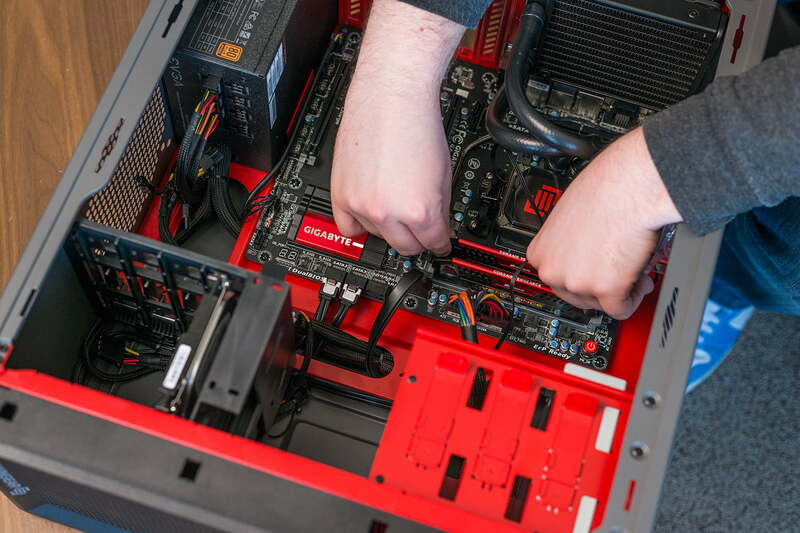 That makes it easier to fit it on your desk to show off your new hardware through the case’s side panel. Before you get too excited about the price, keep in mind that this is a budget-level gaming PC. It’s not going to play Assassin’s Creed: Odyssey at ultra settings at 4K resolution. It will, however, be more than capable of playing it at low settings at 1080p. Better yet, less-taxing games like Fortnite, DotA 2, or CS:GO, could be maxed out and still hit good frame rates for fast-paced gaming action. 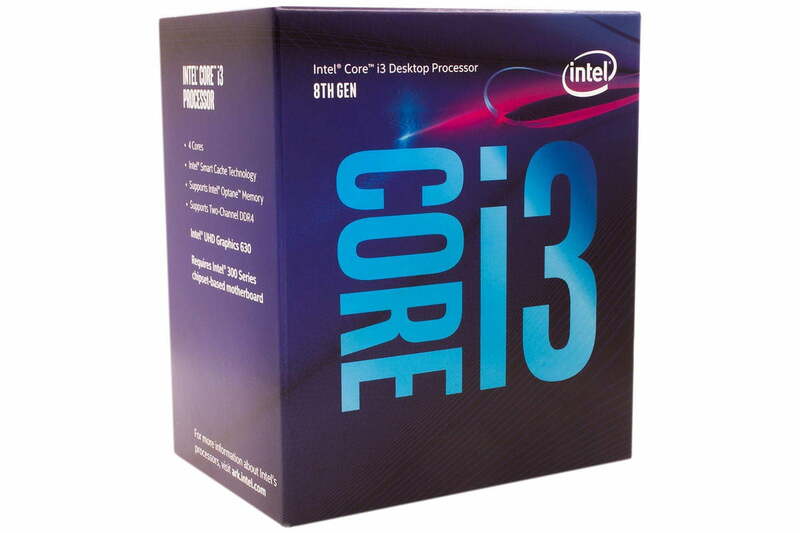 The 8100 might be one of the lowest-rung of processors of Intel’s eighth generation, but it’s still a quad-core CPU with a clock speed of 3.6GHz, so it performs well in games and can handle productivity-assignments well too. It can’t overclock, but that’s not uncommon in budget builds. For a rough idea of its performance, take a look at our review of the Dell XPS 8930. That build might have a more powerful graphics card, but the CPU at its core is the same, and it does perform quite well. 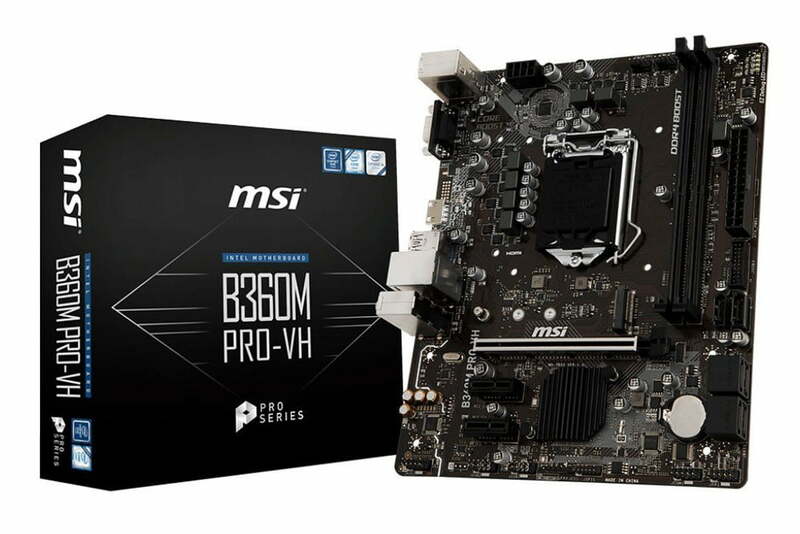 Despite its low price, the B360M Pro-VH from MSI is an impressively capable board. 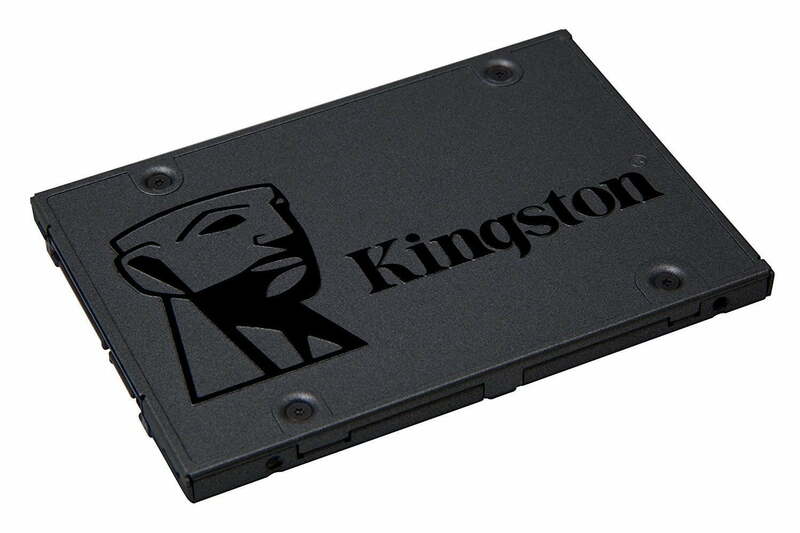 It can support high-speed memory, has reinforcement on its PCIexpress x16 slot, and even a little RGB lighting. It is limited to two DDR4 slots, but that’s not a problem with the build we’re putting together. Since it’s in the mATX form factor also, it will have no problem fitting in just about any case — even if you pick one that’s a little different than our recommendation below. Named our favorite budget graphics card for the past couple of years, the GTX 1050 is still a great entry-level gaming option. It blows away all onboard graphics solutions from both Intel and AMD and is capable of playing both new AAA games and classic esports titles with ease. Don’t expect it to play the prettiest of titles at highest settings, but if you stick to 1080p, you’ll be surprised what kind of detail levels and frame rates this little card will put out. 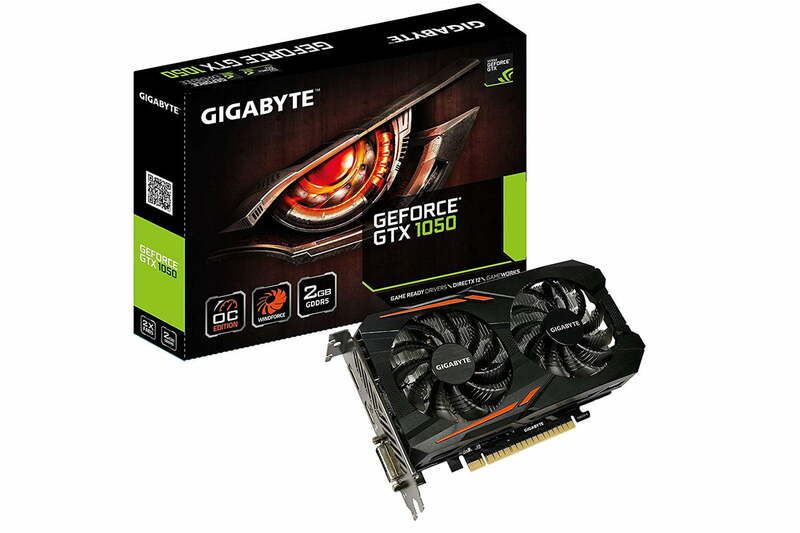 This Gigabyte Windforce version comes with dual fans, so should run cooler and quieter than some of the competition. For a budget gaming PC, 8GB of RAM is more than enough. Although two sticks of 4GB might make for better performance thanks to dual channel support, we’ve opted for a single stick of 8GB to give you the option to add another in the future for an easy upgrade. 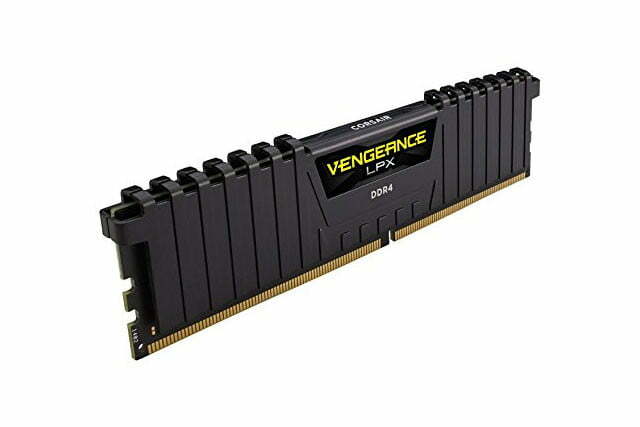 Corsair’s Vengeance LPX is fast, at 2,400MHz and with that black heat spreader, looks pretty good too. SSD prices are falling all the time, so a dedicated SSD is well worth the cost these days. If 240GB isn’t enough storage space for you, a 1TB hard drive costs about the same, but we’d recommend at least a 120GB SSD as a boot drive in that case, as the difference in the overall snappy feel of your system is dramatically improved with an SSD. Few cases offer even close to the same features as Cooler Master’s MasterBox Q300L at such a low price. 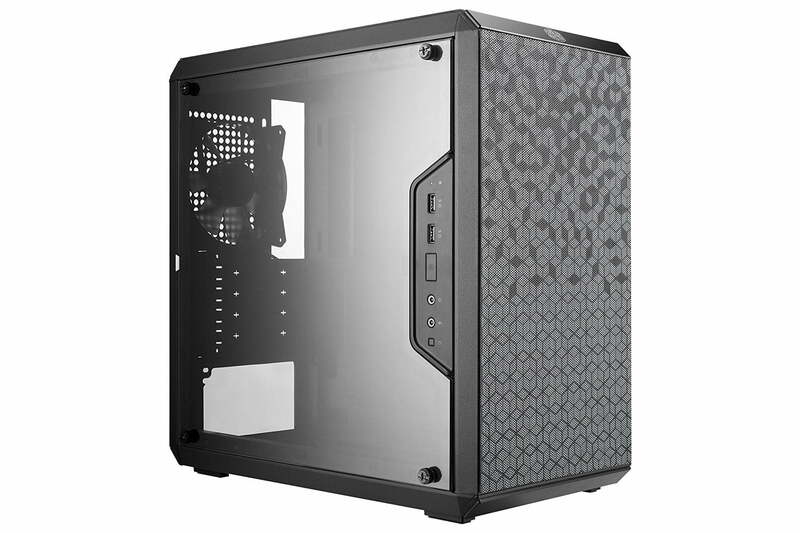 It has a full-size acrylic side panel to give you a good look at the PC’s internals, space behind the motherboard for cable routing and CPU backing plate adjustment, and easily removable magnetic dust filters. It’s a fantastic mATX case for a very modest investment. The most important factor with a power supply is that it’s safe and stable. 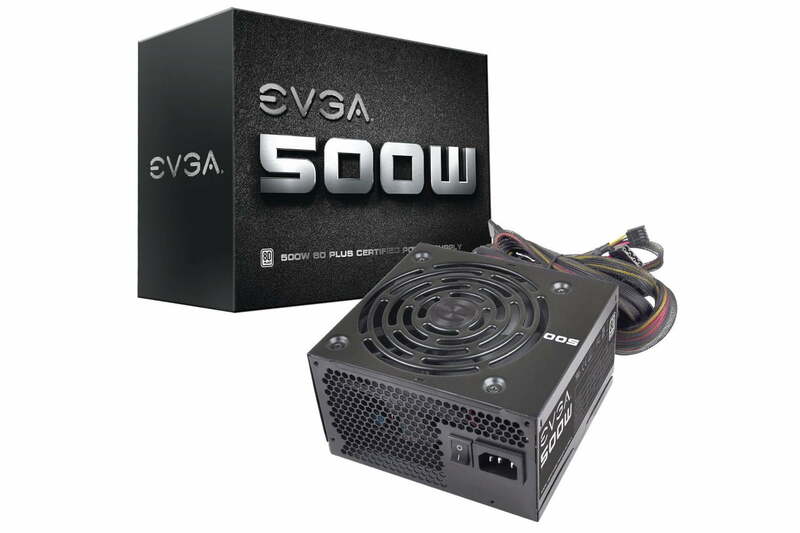 The EVGA 500w 80+ White PSU might not have modular cables or be particularly efficient, but it will safely power your PC for years to come. If you want a greater level of efficiency, the 80+ Bronze version is only a few dollars more. The above build should be able to play any game in the world at high-specifications at 1080p or 1440p resolution. It could even play some games 4K at medium detail settings with sub-60 FPS. If you want to trim the budget to under USD$1,000, you could knock off the hard drive and go for a slightly cheaper case. Alternatively, if you have a few dollars left over, we’d recommend an aftermarket cooler for the CPU to help keep temperatures down and maintain quiet operation. Posted in Blog, Tech Corner, Tech Corner and tagged #cheap, #gaming, #mcsc, #messiah, #pc, #pcbuild, #under500, budget, budget gaming, COOLER MASTER MASTERBOX Q300L MATX, Core i9-9900K, CORSAIR VENGEANCE LPX 8GB, EVGA 500 W1 80+ WHITE, GIGABYTE GTX 1050, KINGSTON A400 240GB SSD, MSI B360M PRO-VH, The Messiah, Under USD$500.